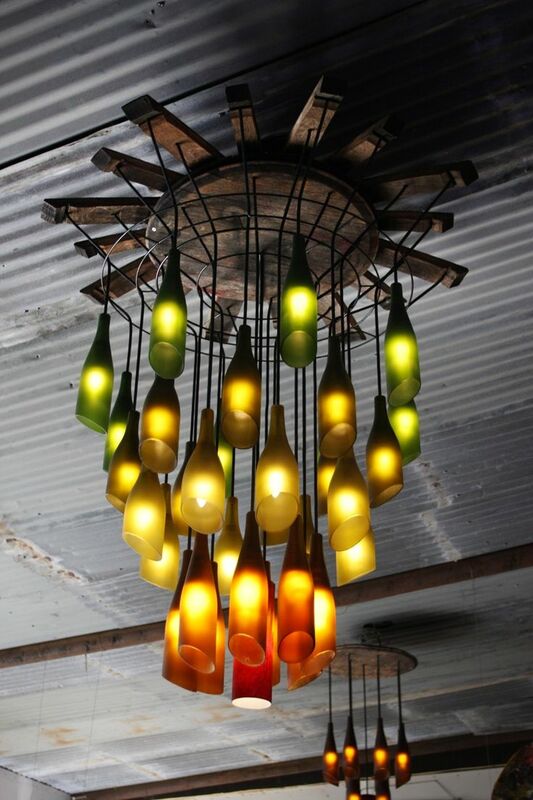 Don’t throw in the trash what you can reuse … this is how the basic rule of those passionate of DIY projects sounds like. 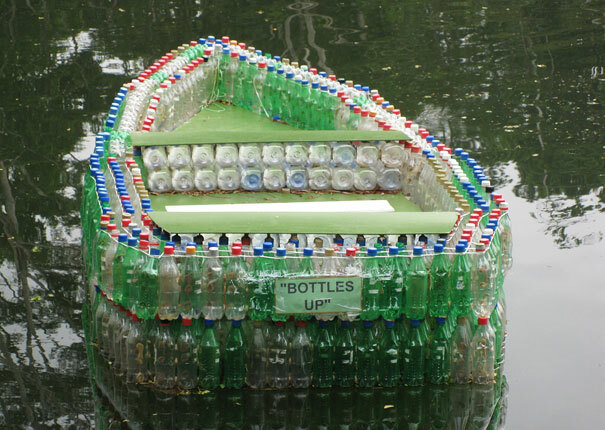 Today we review the potential that lies in bottles (glass or plastic). 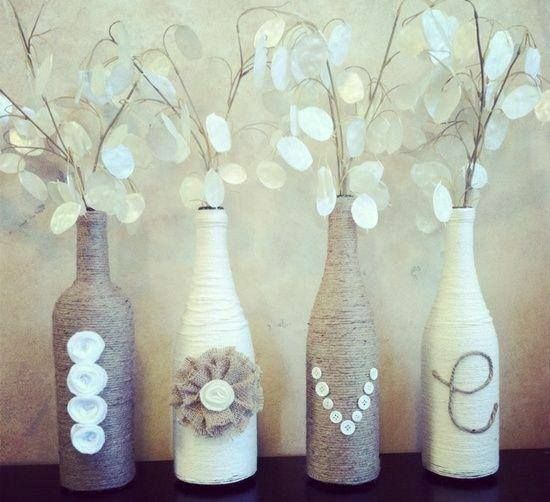 Let’s start with the glass bottles. 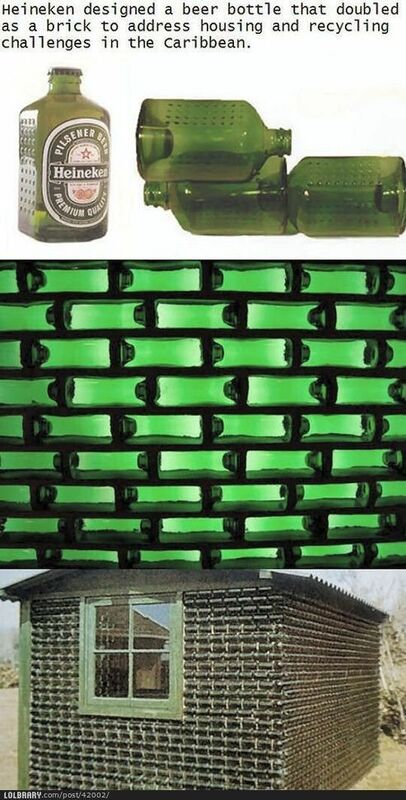 A well known brewing company thought about the global housing crisis and came with a solution, designing the glass with a special design which, once emptied, can easily take the role of a brick. 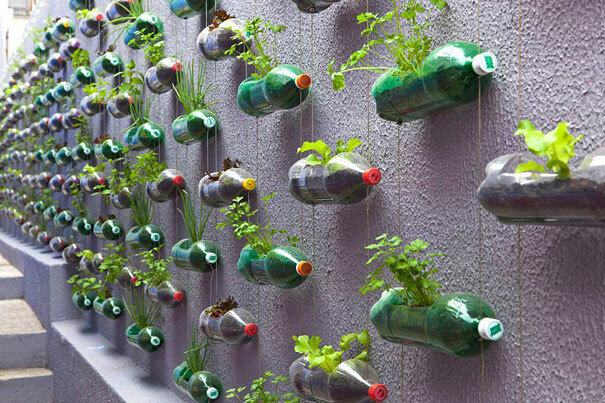 Because a bottle is, after all, a small container, you can keep its primary role by giving it a new utility. 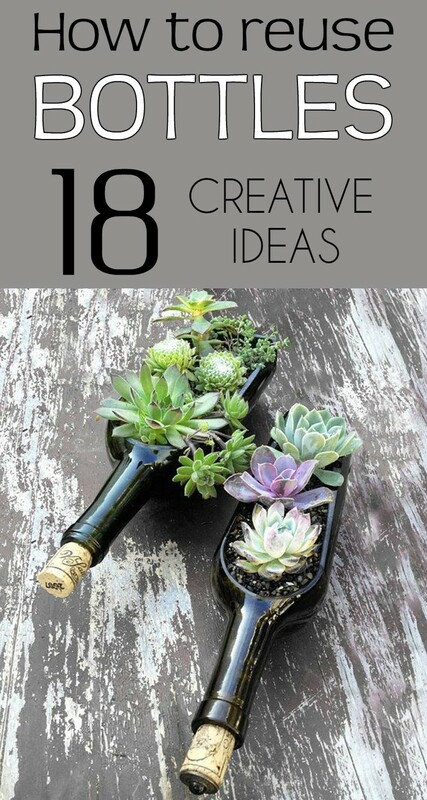 Take a bottle of beer and transform it into a mini-pot in which you can grow your favorite herbs. 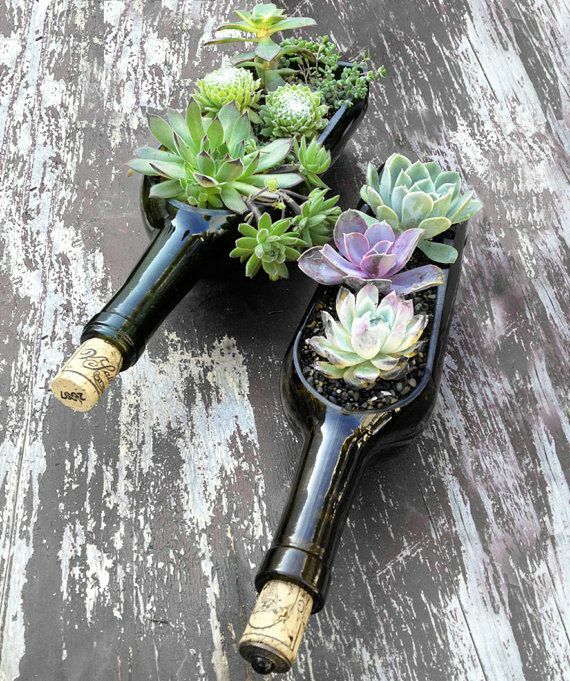 The same bottle, but bigger this time, artistic cut lengthwise, becomes an original planter that brings freshness and personality to any corner of the house or on the terrace. 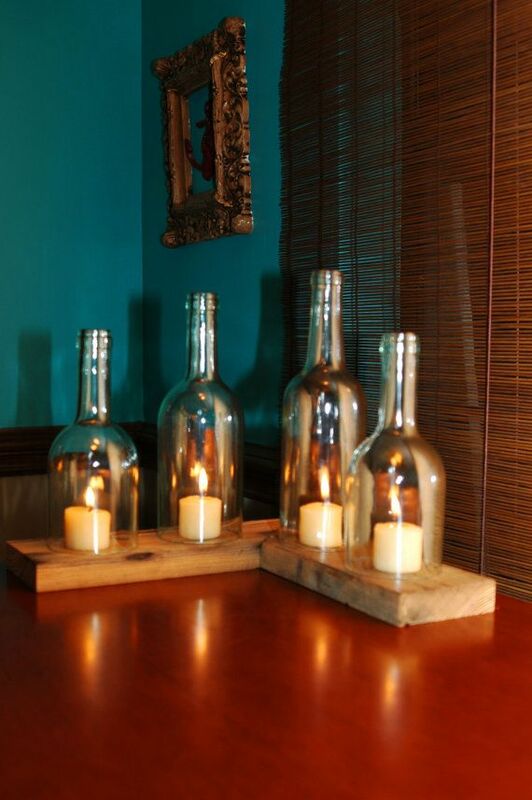 Bring light into the house in various forms, creating that romantic atmosphere which is good for everyone. 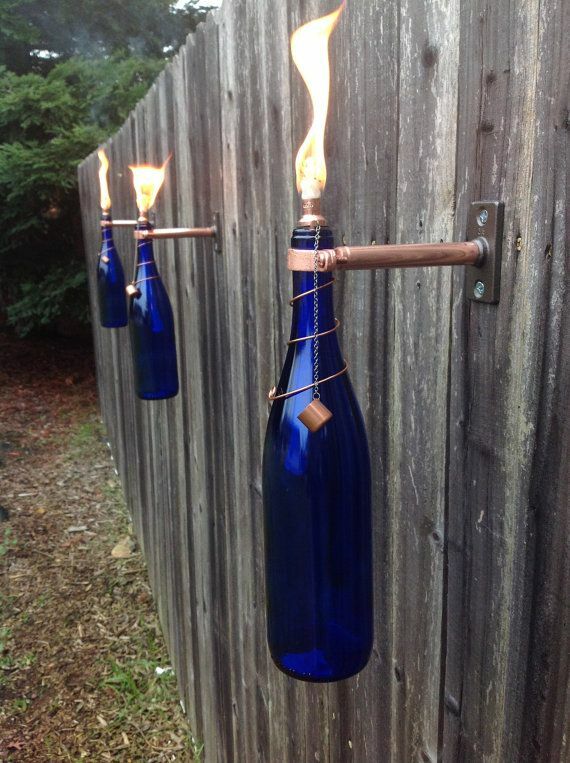 Inside or outside, these ideas fold perfectly in any context. 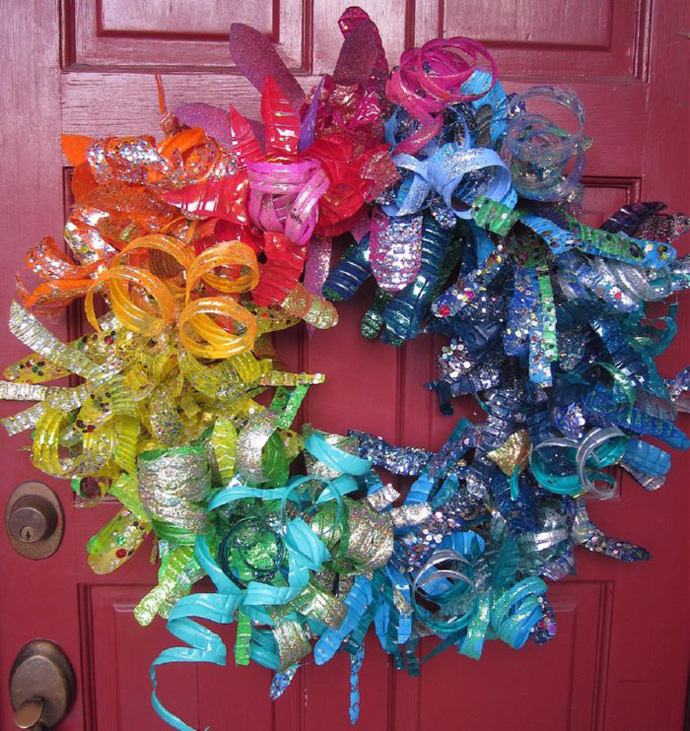 And because we talked about the decorations, then let’s decorate with style! 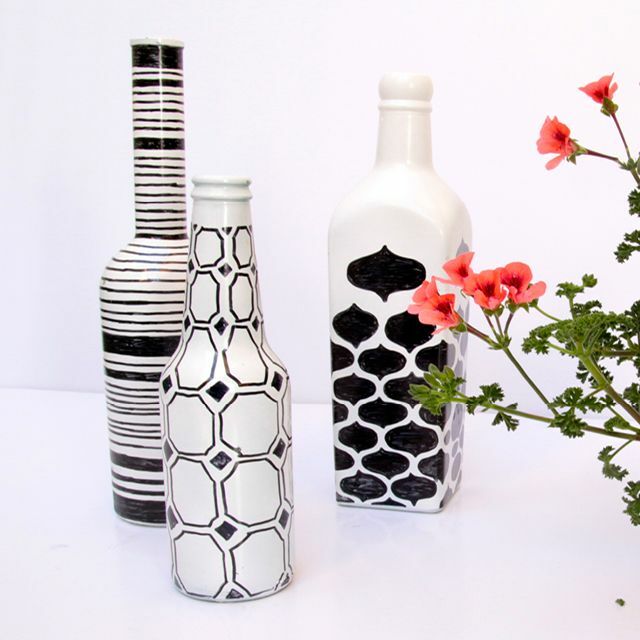 The bottles are the perfect accessory to redecorate a room and to give it extra vitality through various colors. 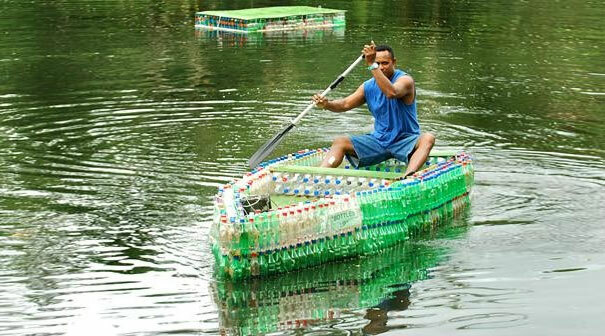 Plastic bottles. 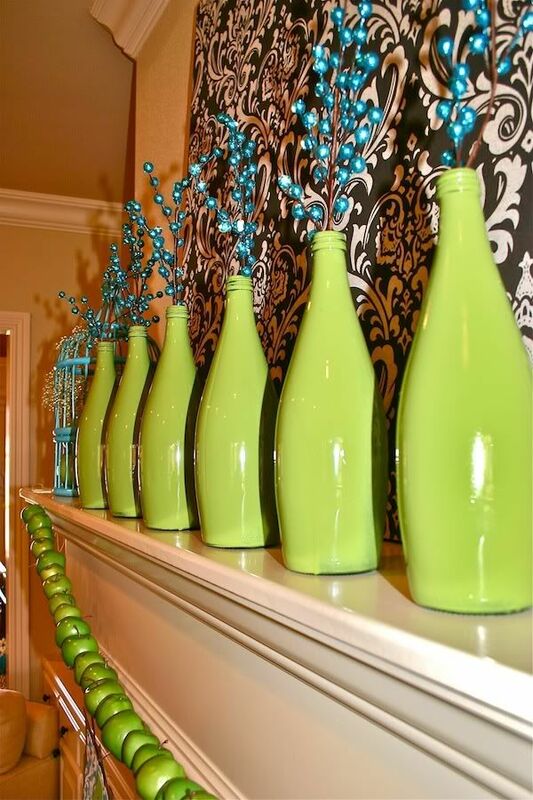 We begin with small decorations around the house that will cheer up the atmosphere and will delight the curious eye. 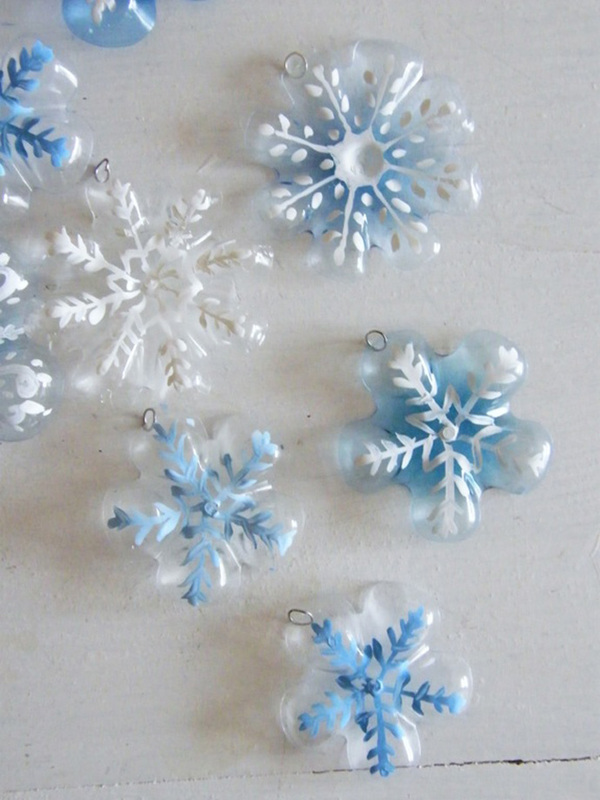 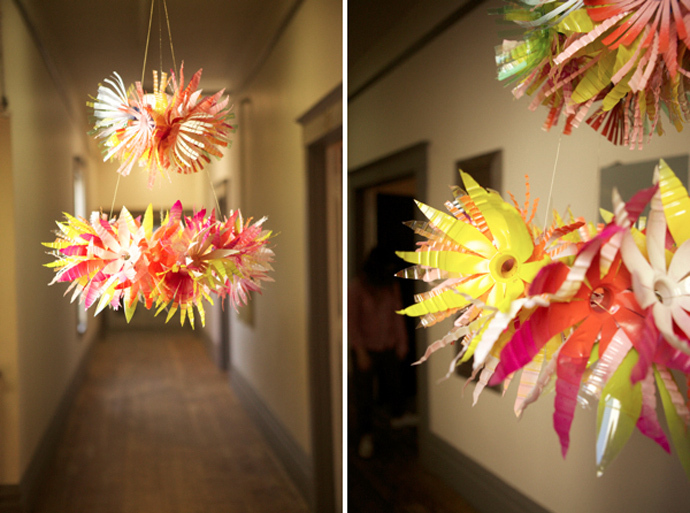 Some people go further than simple, but expressive ornaments, and they hit the road (literally) with plastic bottles. 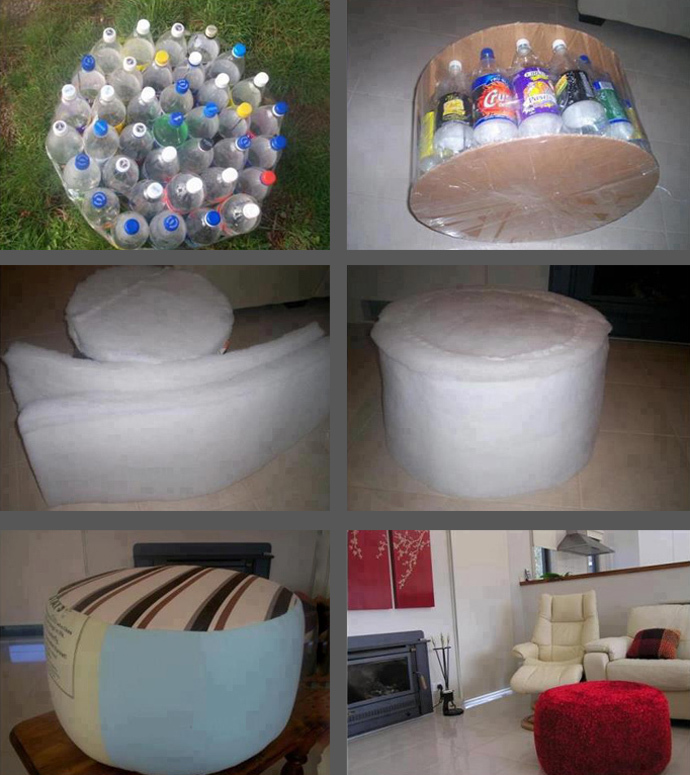 Pack several plastic bottles in a cluster, cover it in fabric and you’ll get this stool that anyone needs in the house. 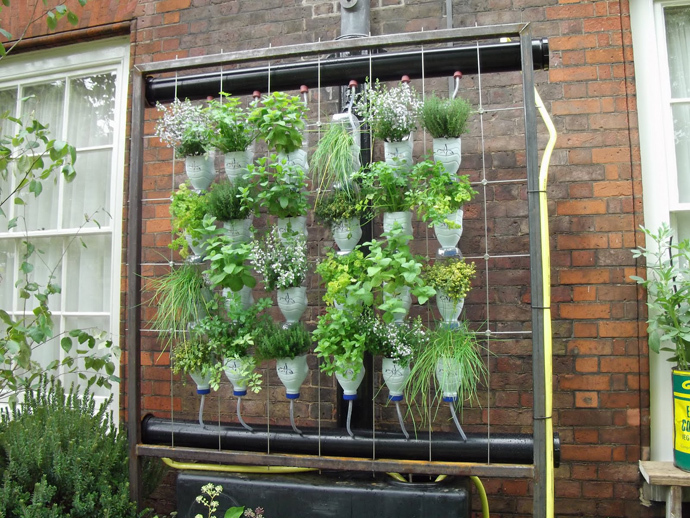 And because we all need the nature, then bring the green closer to you, indoor or outdoor, by crafting vertical gardens using this flexible material. 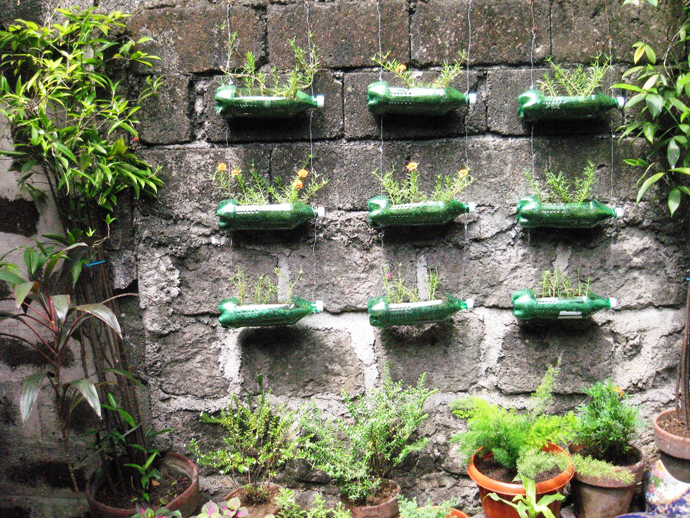 And because we talked about nature, think about the small messengers whom could use a little help. 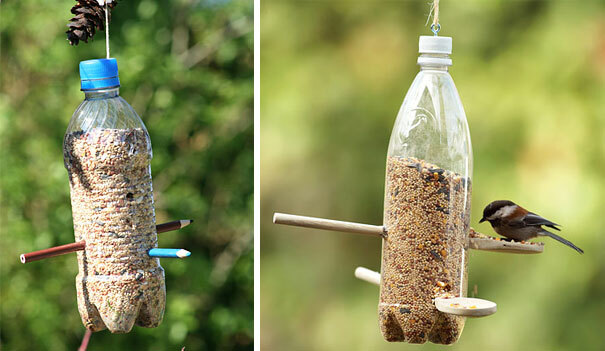 Make a food dispenser for birds and Mother Nature will be grateful to you.